Fire insurance is an insurance that covers the risk of fire. It covers goods or property of the insured person. On the contrary. Marine insurance is one that encompasses risks associated with the sea. The subject matter covered here, is the ship, cargo and freight. Insurance is a contractual agreement between the insurer, i.e. the insurance company and the insured, wherein the risk of loss is transferred to the insurer, when the loss occurs out of the causes indicated in the contract, on the payment of the consideration called as premium. There are two major types of insurance, i.e. life insurance and general insurance. Further, general insurance is subclassified into fire insurance, marine insurance and miscellaneous. In this article, we are going to talk about the difference between fire insurance and marine insurance, in detail. Meaning Fire insurance is an insuance contract wherein the insurer commits to compensate the insured in case of any incident happening with the subject matter due to fire or any such event. Marine insurance refers to a contract, wherein the insurance company promises to compensate the insured in case of loss caused to ship or cargo due to perils of sea. Insurable interest Must exist both while taking the policy and on the occurrence of loss. Must exist when the loss takes place. Objective To cover fire risk. To cover sea perils. Claim Lower of amount insured or actual loss sustained. Purchase price of the material plus 10-15% profit. Policy amount It cannot be more than the value of subject matter. It can be the market value of the cargo or ship. Fire Insurance refers to an insurance agreement in which the one party (insurance company or insurer) agrees to indemnify another party (insured), up to a specified amount against the loss of assets, i.e. goods and property, incurred to the latter due to fire, for an adequate consideration, in the form of premium. The actual fire caused to the subject matter. The fire occurred is accidental and not deliberate and the cause of the fire is irrelevant. Fire insurance is usually taken for one year, and after the completion of the term, it expires automatically. However, one can renew the fire insurance policy every year, by the timely payment of the premium, in a single instalment. In this type of insurance, the insurer cannot claim the amount exceeding the value of property lost or damaged due to fire or the policy amount, whichever is less. In addition to this, the loss or damage by fire also covers the loss or damages occurred to extinguish the fire, so as to reduce the loss. Marine insurance, as the name itself gives a brief description, is a type of insurance contract in which the insurer enters into a contract with the ship or cargo owner, and commits to indemnify the latter against the risks related to marine adventure, on the payment of premium. Cargo insurance: The form of insurance in which the risk to the cargo on the ship is covered is called as cargo insurance. It is prone to risks that occur due to act of God, fire, enemies, etc. Hull insurance: When the ship is prone to risks that arise out of an act of God, fire, enemies, etc. then the shipowner can take hull insurance, to cover these risks. Freight insurance: Freight insurance is taken when the owner of goods commits to pay the freight charges if the cargo is delivered to the port in a safe manner, and it destroys on the way. In such a situation, the shipping company is going to lose the freight. Fire insurance can be defined as a contract in which the insurance company promises to indemnify the insured, in case of any loss or damage caused to the property covered in the contract, of the insured, due to fire. On the other hand, by the term ‘marine insurance’, we mean an insurance in which the insurance company undertakes to compensate the insured in case of any loss to the ship or cargo, because of sea danger. In fire insurance, the insurable interest must be present both at the time of taking policy and when the loss occurs. 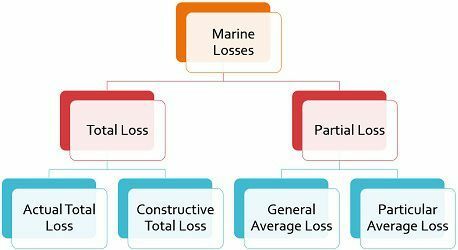 As against, in case of marine insurance, the insurable interest must be there only at the time of loss. Fire insurance covers risks due to fire and associated risks. Conversely, marine insurance covers sea perils. The claim in case of fire insurance is the amount insured, or the actual loss sustained whichever is less. In contrast, the compensation would be the cost of the goods plus a reasonable margin, i.e. 10-15% for anticipated profits. In fire insurance contract, the moral responsibility of the insured is an important condition, whereas if we talk about marine insurance, there is no clause relating to the moral responsibility of the ship or cargo owner. The amount of the policy cannot exceed the value of subject matter covered under the fire insurance contract. On the contrary, the market value of the ship or cargo would be the policy amount in case of marine insurance. Fire insurance is the most popular insurance, that offers protection to the insured against any uncertain loss or destruction of the assets, arising out of the fire. On the contrary, marine insurance is the oldest type of insurance, in which the insurer agrees to indemnify the insured, against transit losses to any sea voyage.